Hey yall!! I am back from my super awesome trip to New York and ready to bring you another fabulous dish for our Thanksgiving Series! 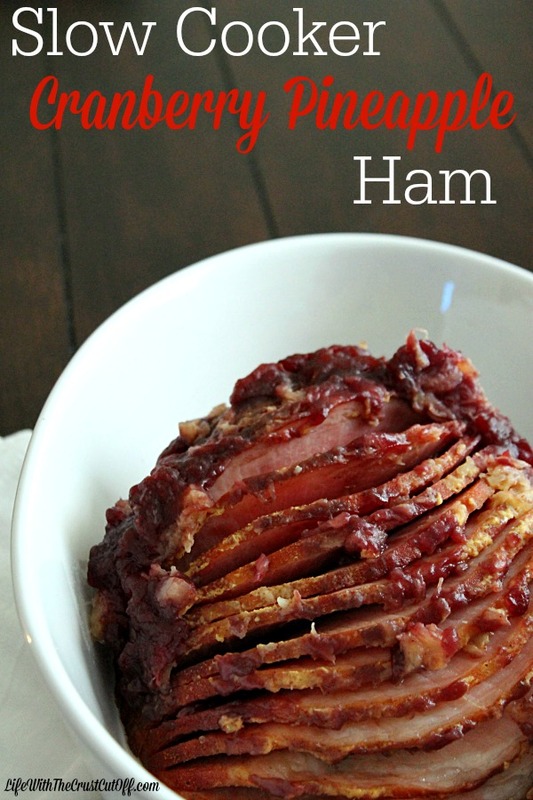 So last week I showed you my amazing Slow Cooker Cranberry Pineapple Ham and how it can save you oven space on those busy holidays. Sooooo what if I show you how to make everyone’s favorite side in the slow cooker? Pretty awesome right? I love stuffing, and yes I call it stuffing even though we would never stuff it in our bird. 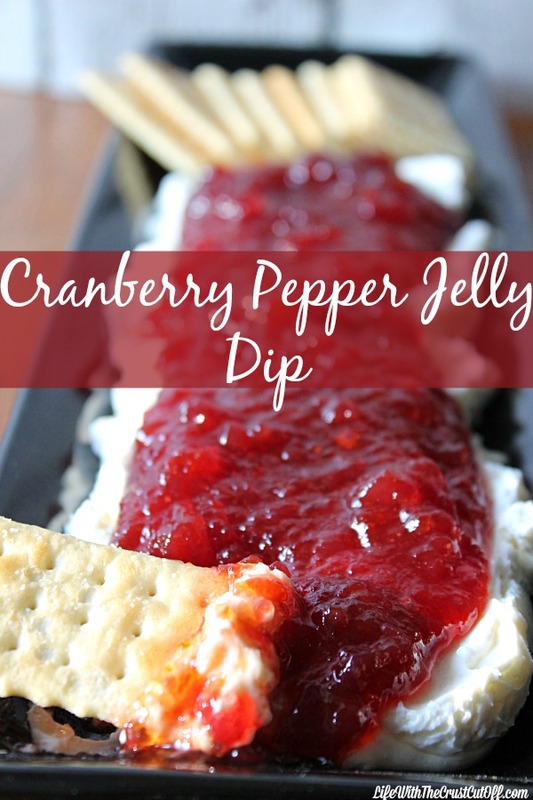 We always place it in a pan and bake it and it comes out perfect and I can never get enough, it is my favorite thing on the holiday dinner table! I was thinking…. what if I could make it in the slow cooker and save space in the oven for that big ol’ bird we gotta cook? Guess what guys? It works! And it is super yummy! Moist and fluffy and you still get some crispy edges, perfect!!! 2 boxes of Jiffy cornbread mix baked to box directions and left out over night to dry out. The night before, bake the 2 boxes of cornbread according to box direction and bake in a 9x13, score into chunks and let dry out over night. Saute the chopped onion and celery in a little butter or oil until caramelized. In a bowl mix the cream of mushroom, stock, eggs, seasoning, salt, pepper and veggies. Add wet mixture to greased slow cooker. Add in the cornbread and gently stir. You want the cornbread chunks to break up a little. When all the cornbread is moistened, cover and cook on high 2 hours or on low 4 hours, or until firm and browned around edges. 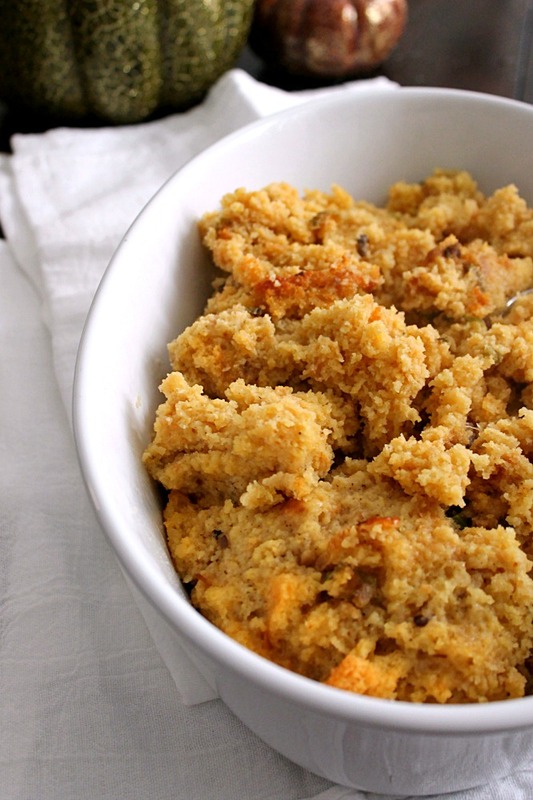 Want more Thanksgiving sides? Head on over to Dana’s and check out her Malt Vinegar Smashed Potatoes! Yum! Check out more of my Thanksgiving Recipes below! 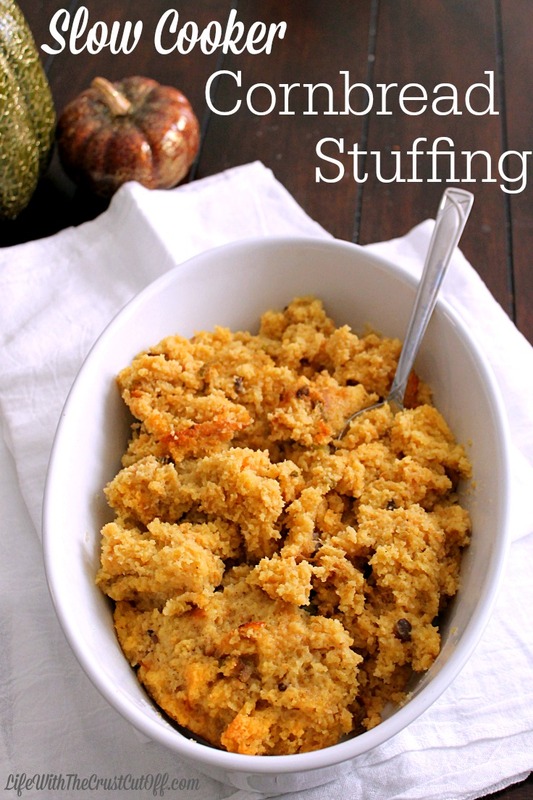 Stuffing in the crockpot…. YES! I’m pinning to the Show Me Saturday board. I love this! One less thing for me to worry about on Thanksgiving day. Pinning! We must be from the same place, because it’s stuffin’ and dressin’ in my book, too! I thnk I will try this recipe this year. 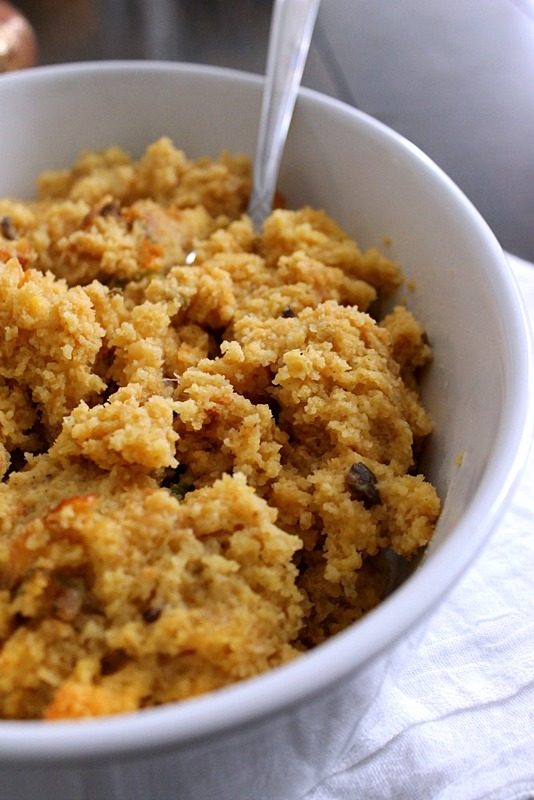 I usually make my mom’s cornbread dressing recipe (which I LOVE), but it is made with traditional southern cornbread (not sweet; white cornmeal + buttermilk). I don’t think my non-southern inlaws appreciate the non-sweet cornbread taste like I do. This would be a great (and time-friendly!) compromise. Thanks! Pinning!